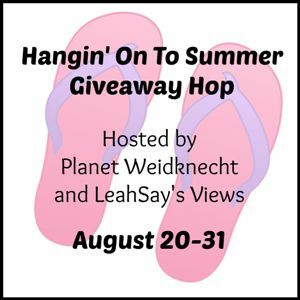 Summer is coming to an end and we're celebrating with a giveaway hop! Enter my giveaway, then hop along to the other participating blogs to enter to win more great prizes valued at $25 +! It's hard to believe that summer is coming to an end, and yet here we are. School is back in session, summer fun is winding down and fall will be here before we know it. As much as I want to hang on to those carefree summer days, I cannot help but look forward to fall. The baking, the colors, the fashion... and of course, cuddling up with my kids under a warm blanket with a great book to read together! Truly, is there anything better? Olive is the only spark of color in her otherwise drab world, but her city’s sour disposition never crushes her resilient spirit. One day, as she’s out for a walk, a mysterious noise from a nearby manhole piques her curiosity, leading her to an underground world full of boxes and boxes of the city’s lost things—from keys and dolls to dreams and courage. Inspired, Olive grabs a scoop of “memory” for her granddad, who always loses his glasses, some “eyesight” for her father, though he hasn’t completely lost his yet, and most important of all—a great big jar of “hope,” which she spreads across the city, bringing color and joy back to its occupants and showing young readers that even the smallest person can make the world a better place. With a combination of engaging art, playful language, and an uplifting message, this buoyant tale will delight readers of all ages. While I loved all of the books I am sharing today, this one just might be my absolute favorite! 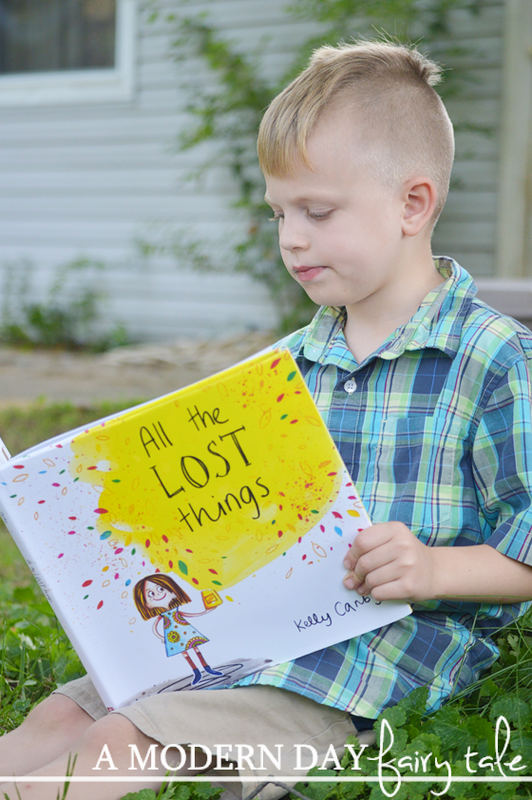 It is such a sweet story of finding hope. It is quite a simple story, perfect for kids like my own who might have a short attention span, but absolutely beautiful in its simplicity. While the story is beautiful in itself, it truly is all about the artwork for this one. When we're first introduced to the city, it's all black and white, with complaints of all kinds floating from the windows. Olivia truly is the only bit of color throughout the city. As she fills each jar with lost gifts for those she loves, we see more beautiful color until the very end as she pours hope among the city- filling it with color and optimism. Hope can be a rather big, confusing concept for kids to grasp, but this idea of bringing color into a boring, negative world is something that even children can understand. I absolutely love this book, and cannot wait to read it over and over as we inevitable will! On a snowy winter day, two brothers set out on a quest to find a Yeti. As they skate and sled their way across the landscape—unwittingly helped along by the Yeti they seek—the eldest brother patiently answers question after question, teaching his younger brother everything he knows about the mysterious monster. Parents will recognize the unique relationship between an older and younger sibling in the boys’ endearing banter. The short and snappy dialogue will keep young readers engaged to the very end, when the boys finally come face-to-face with the furry creature and an unexpected twist turns the littlest brother into the teacher, as he befriends the Yeti and shows his frightened big brother that it’s not really a monster after all. Parents will appreciate the underlying message that you can’t judge a book by its cover, while children will delight in reading this charming tale all year long. Oh, what a fun story this is! A story of adventure and of fun...perfect for the fall/winter season! As these two boys go on their hunt for the mysterious Yeti, we as the readers enjoyed spotting him all along, hidden in the scene. This was the most fun part for my children! But the story itself is wonderfully written too- a conversation between the brothers. I don't know about you, but as a mom, there is nothing I love more than hearing the (at this point simple) conversations between my own children, so I really enjoyed this fun banter. It's short and sweet, perfect for young readers or good night stories! We loved it and I know it will be read often in the coming colder months... it may even inspire us to go on some Yeti hunts of our own. Mina is tired of her dreary, colorless world, so she sets out with a magical crayon to make her mark on its blue and white canvas. Along the way, Mina meets several forest creatures who need her help: she uses her crayon to draw a ladder so Grandfather Woodpecker can climb down from his tree, creates a door for Mr. Bear to escape his cave, and makes socks for Miss Frog so that she can join in the winter fun. By the end of the day, Mina has not only brightened the gloomy forest with her kindness and creativity, she’s forged new friendships and formed lasting memories. Lee’s gentle story shows young readers the power of thinking outside the box, and their own boundless potential to make the world a happier place. Parents will love reading this uplifting tale with their own artistic children on gray winter days, encouraging them to use their talents to reimagine the world and connect with the people around them. As a kid, I grew up in the country... and I just don't mean I leaved in a country-like town... no I grew up in a 'town' with no post office, no stores and gravel roads. There truly was nothing to do. Perhaps this is why I began writing, I so enjoyed the escape of imagining great adventures and great destinations right where I was. So, this story definitely took my back to my own childhood...letting my imagination run wild! Kids today so often have electronics that don't require them to explore their imaginations as I did as a child, so I love having this fun tale to remind them- and myself- the fun and importance of using your creativity and letting your imagination soar. Mina's magical crayon and a little imagination were all she needed to take a boring snowy day inside and turn it into an amazing adventure. This is truly a fun book for all ages! All the lost things is a book that looks good. I am most excited about the book "No Yeti Yet". I would to read All the Lost Things, but No Yeti Yet looks super cute too! I am excited about All the Lost Things, it looks cute! I want to read All The Lost Things. All the Lost Things looks super cute!! Although they all look like they will be fabulous reads!! "No Yeti Yet" sounds adorable. 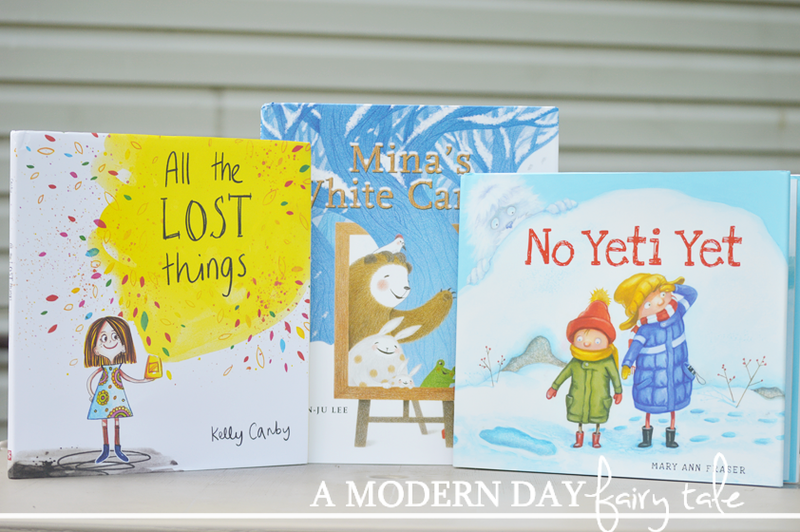 I collect children's books and many of my favorites are set during winter like "The Snowy Day," "The Snowman," and "Katy and the Big Snow." I think my grandson would like No Yeti Yet! I think my son would enjoy No Yeti Yet! No Yeti Yet looks like a great book for my kids. I am most excited about All the Lost Things! I'm excited about all of them, but I think the boys will like No Yeti Yet the best! I'm excited about minas white canvas. 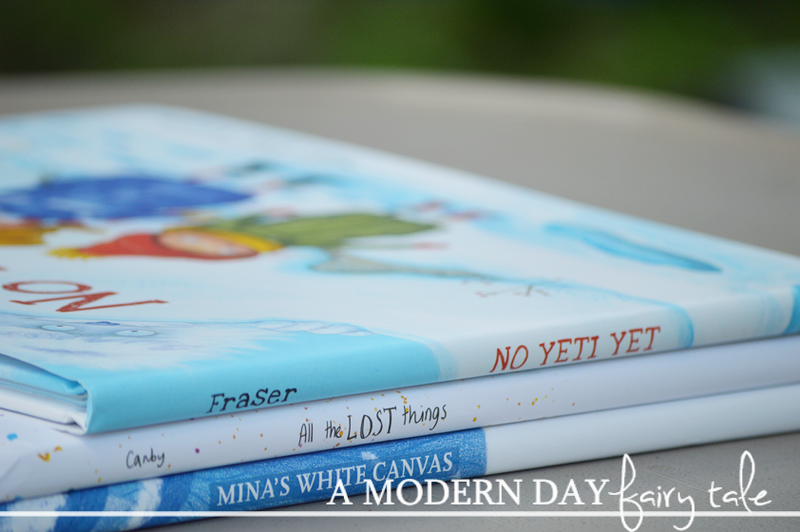 I'm most excited about No Yeti Yet by Mary Ann Fraser. Thanks. I am excited about no yeti yet! All the Lost Things would be my first read. My daughter would really like the No Yeti Yet.